Gujarat Public Service Commission Has Published Notification for The Recruitment of Gujarat-Administrative-Service-Class-1-and-Gujarat-Civil-Services-Class-1-and-Class-2 Posts. GPSC Is Going To Conduct Preliminary Exam For Above Said Post. A large numbers of candidates have applied for above said post. This is the biggest opportunity for the candidates who want to be an officer in Gujarat Government. GPSC Is Conducting Preliminary Exam as per Syllabus. A Syllabus is the most important thing for any competitive exam. Today we have put Model Paper No.1 of GAS-Class-1 and GCS Class-1 and Class-2 Preliminary Exam . So candidates can prepare better for Exam. 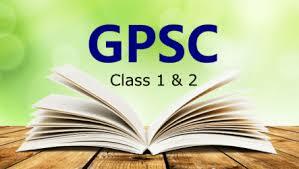 0 Comments "GPSC Class-1,2 Preliminary Exam 21-10-2018 Question Paper -1 & 2"